Van Gogh: "Looking at the stars always makes me dream, as simply as I dream over the black dots representing towns and villages on a map." 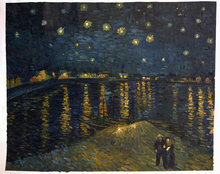 This little star, hand-painted in oil on canvas, is one of the stars in Van Gogh’s Starry Night painting in its original size. 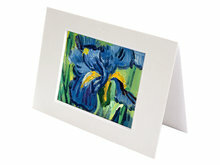 It makes a beautiful detail in your home or office. 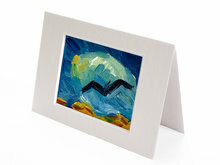 Looking for an original present? 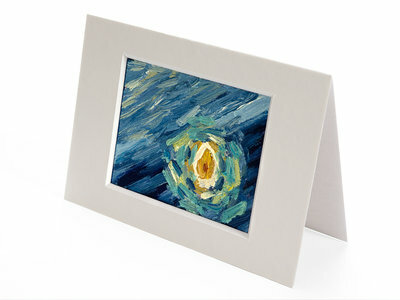 What about the mini painting as postcard in a golden envelope as a birthday present: "A star is born!" A unique hand-painted piece of art. A little present for a big impression. What a stunning gift! A beautiful piece of art, very detailed, smells like true craft. It was a gift from my loved one and I keep it in my study room so it reminds me on the hard work and perseverance of the master. Very inspiring! What a cool little painting. 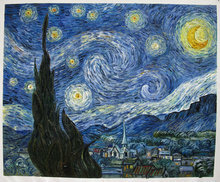 A little "Starry Night." I love it! Very crafty...and a good bit of work. Every square centimeter is differing in detail...lots of brush strokes. It's awesome! 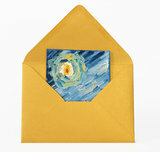 I will hang it in my exam room with the rest of the Van Gogh's. Just received my star. It is wonderful! Very happy with my mini Van Gogh! That is the cutest thing I ever bought! 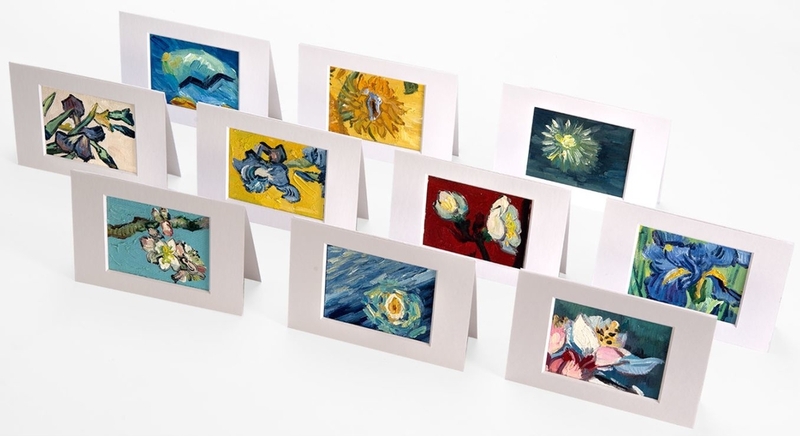 Are you gonna paint more Van Gogh details? I want to build a collection!